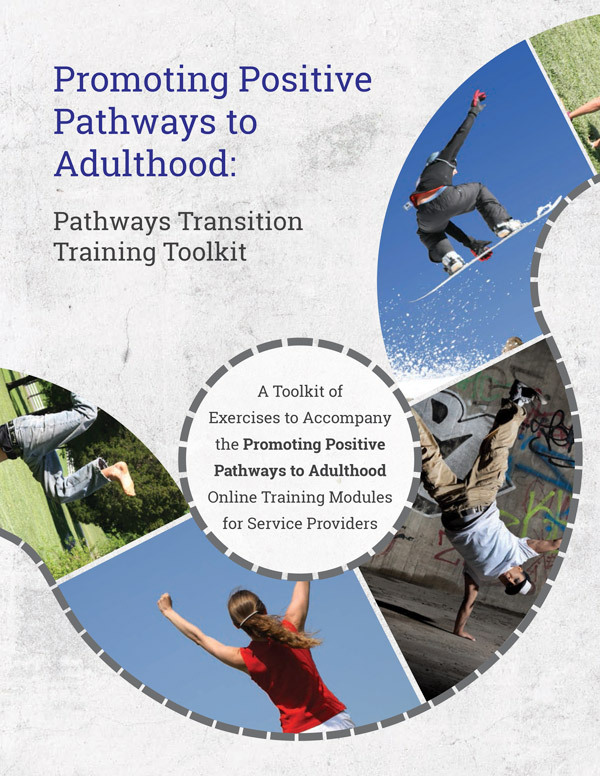 Promoting Positive Pathways to Adulthood (PPPA) is an online knowledge translation initiative consisting of ten hour-long training modules. The modules are designed to build the capacity of direct service providers who are working with youth and young adults aged 14-29 who have mental health difficulties, and their families. To support knowledge translation of these online training modules into practice, this accompanying toolkit includes implementation assistance in the form of practice scenarios, video segments with discussion questions, role plays, and questions that invite participants to apply their learning to practice in their local context.